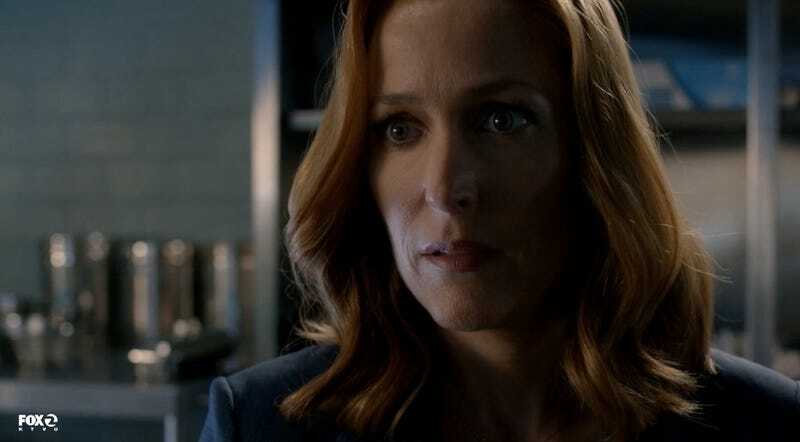 Last night, the X-Files revival ended after six episodes that went by all too quickly, leaving us with fond memories of a certain Were-Monster and Mulder getting high as balls ... and some extremely confused and unresolved feelings, especially after that head-scratcher of a finale. We need to talk, you guys, because WTF? Obviously, this is not a spoiler-free zone, so read no further if you haven’t seen “My Struggle II.” This is the end? Say it ain’t so! WE HAVE SOME QUESTIONS! Share yours in the comments.